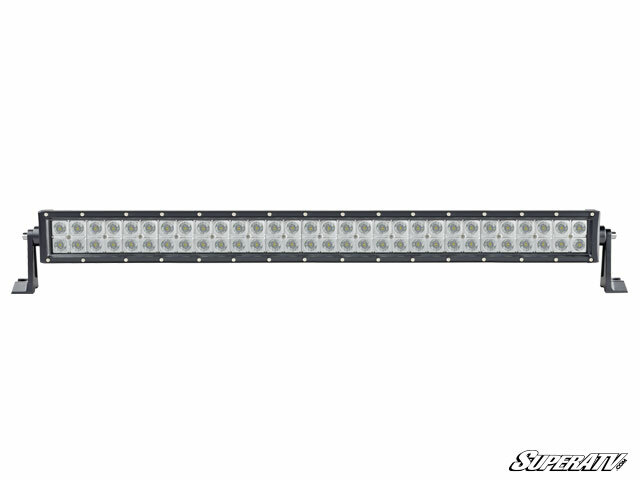 Check out this 180 Watt 30 inch Cree LED Light Bar. This is an excellent Light and is perfect for riders looking for a serious Off Road Light. 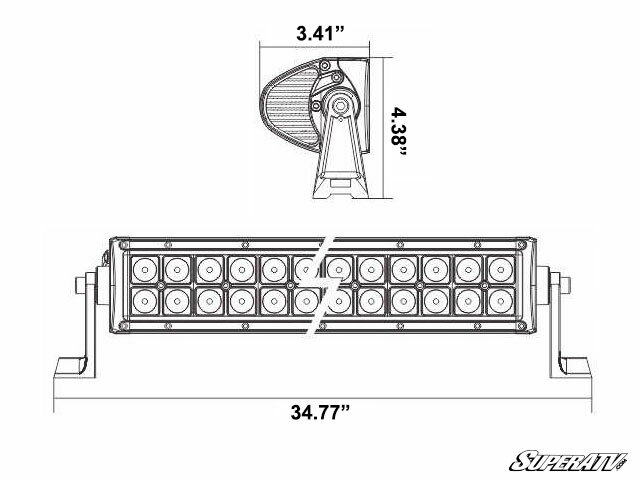 The combination flood/spot lights emit 14,400 Lumens of brightness, this light bar will accommodate both ranch work and recreational light needs. The Housing is sleek looking and engineered from die cast aluminum meaning it is very durable. These Light Bars mount up easily to the roll cage of your machine and include the complete wiring harness making installation very simple. 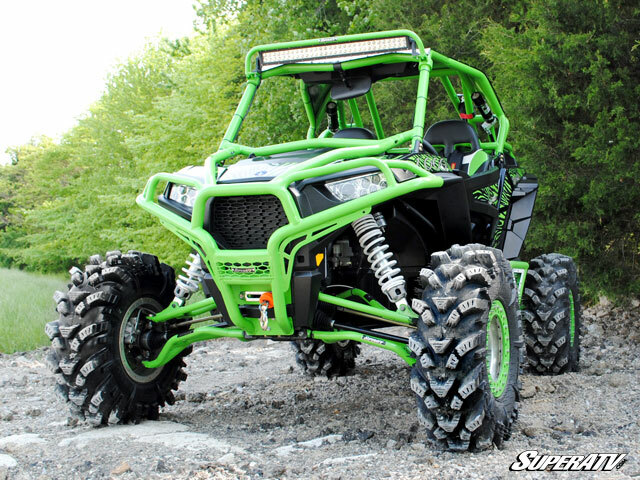 Upgrade your UTV with Super ATVs 30" LED Light Bar today!! 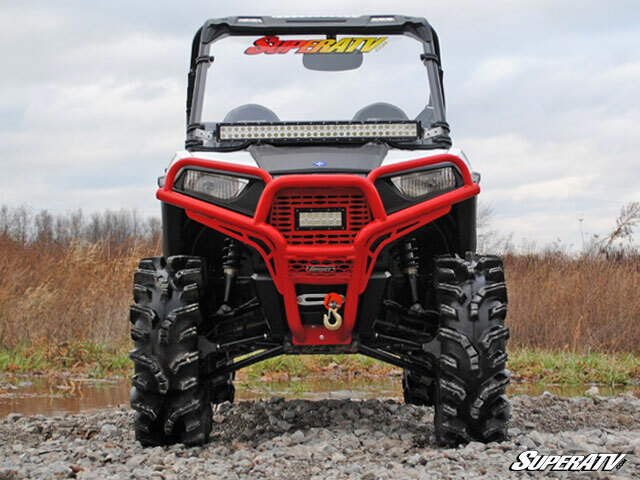 - Our Super ATV 30 Inch LED Light Bars generally ship out within 1 business day! Q: Do i need any brackets to mount on polaris razor 1000?? A: This doesn't include any clamps to bolt it to your roll cage. It comes with brackets that are designed to bolt down on top of your roof. You have to drill holes through your roof and install this. It's very simple and easy to mount. Q: Will this light mount to my 2012 Can am Commander 800 with a full windshield and roof? A: Yes, these are universal fitting. They come with brackets that you would mount to your roof. You just have to drill a hole through your roof to mount the brackets. They work really well! A: Both will work great, The straight light bar gives you excellent light directly in front of the machine, the curved shines better out to the sides. Q: what about mounting clamps? A: We don't sell mounting clamps but there are a bunch of them out there on ebay or other places for cheap.